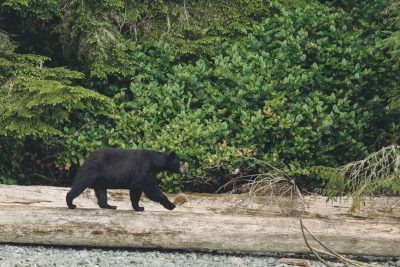 In the summer of 2013 we went on a three-week road trip from Vancouver to Calgary, while covering a lot of the beautiful national parks that reside on the west coast of Canada in between. 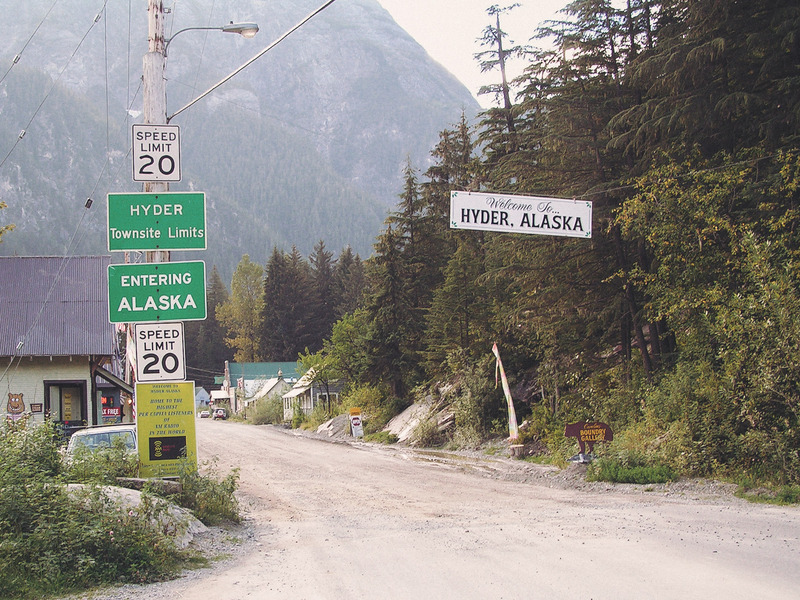 During that long drive, and the reason this trip appears on the blog, we also visited Hyder, Alaska for two days. Border between Stewart, British Columbia, Canada and Hyder, Alaska, USA. Hyder is the type of destination we love to visit, with less than a 100 inhabitants it isn’t necessarily a metropole. But what it lacks in sheer size, it makes up with charm and natural beauty. In particular there are two main points of attractions. 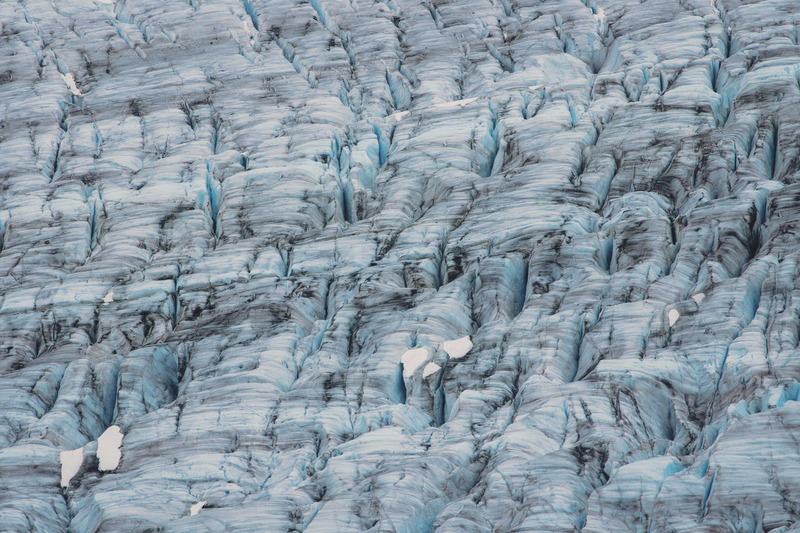 Salmon Glacier is one of North America’s largest glacier and an impressive sight. 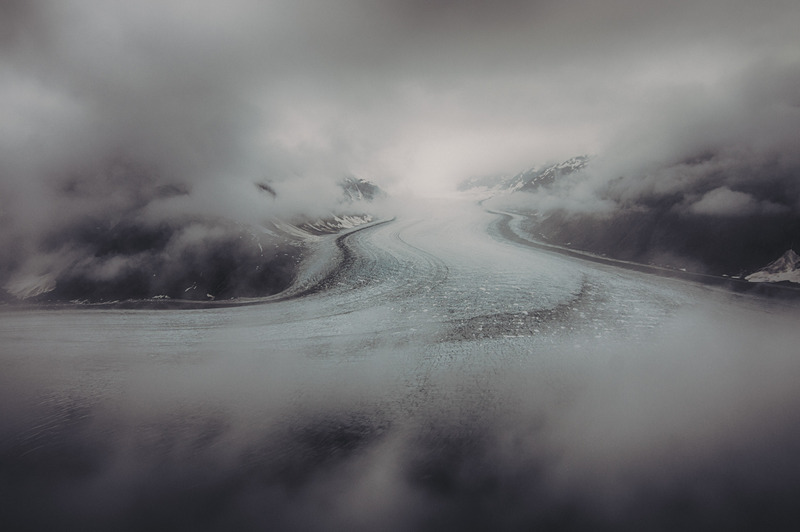 The picture heading this report and below shows the massive glacier on a gloomy and misty day. In the picture you might mistake it for a road winding up the mountain at first, but what you are looking at are in fact two mountain peaks with a kilometer (3000ft) between them, all filled up with ice. Fish Creek is know for the fact that once a year, while the Salmon are moving through the stream it becomes a feeding feast for all resident Grizzly Bear. It turns into this marvellous sight where you can get relative close to the Grizzly Bear while they are enjoying themselves on fresh Salmon. All in all it’s an amazing place to visit. Off the beaten path and a long way from any major city, but we would visit it again if we ever had the chance. 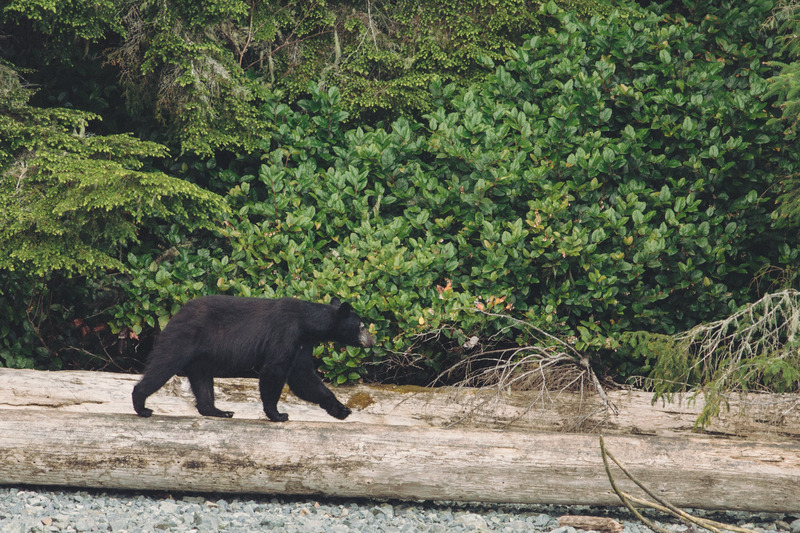 Walking into a bear all by yourself is a lot more impressive, than having 30 other tourists standing besides you as was the case later in Banff and Jasper. 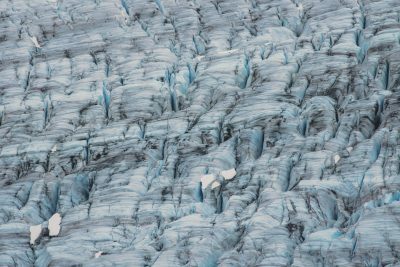 Although for our “visit all 50 states”-goal we can now cross Alaska off our list, this brief encounter has us longing for more and we will certainly revisit Alaska in the future. Filed under 50 States, Alaska.